DJ's Book Corner: Acceptance. Tolerance. Love. These are LESSONS LEARNED by @SydneyALogan + #GIVEAWAY! Acceptance. Tolerance. Love. These are LESSONS LEARNED by @SydneyALogan + #GIVEAWAY! NOTE: Sydney will be donating 10% of all sales during the month of October to http://www.pacer.org/bullying/ in honor of October's Bullying Awareness month. 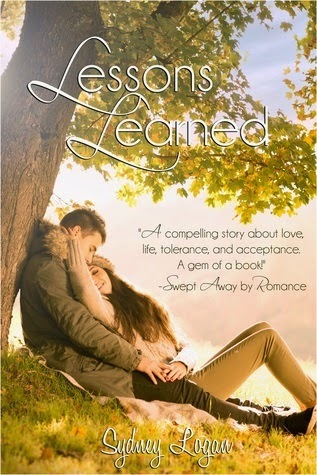 In LESSONS LEARNED a secret of the quarterback of the football team sends a small conservative community reeling. Bullying can take on all forms and Sydney would like to give back to this worthy cause. The piercing chime of my phone jerked me awake. Disoriented and shaking, I grabbed my cell and struggled to focus on the screen. Congratulations, Sarah. You slept a whole three hours. Falling asleep had been difficult. My restlessness could easily be blamed on yesterday’s long drive or spending the night in a new place, but I hadn’t slept well in months, so my fitful sleep wasn’t all that surprising. However, I could do without the nightmares. It was nearly three in the morning when I’d finally arrived in Sycamore Falls. Exhausted from the drive, I’d collapsed on the couch, but sleeping proved impossible. It was just too quiet. I’d grown accustomed to noisy neighbors and blasting car horns. A change of scenery could be exactly what I need, my therapist had told me. Sycamore Falls was definitely a change in scenery. Stiff and sore from the uncomfortable couch, I groaned as I struggled to sit up. My body trembled when my bare feet hit the hardwood floor. I’d forgotten how cold this house could be, even in the summer, but anything with long sleeves would be in a box, and all the boxes were arranged in a chaotic mess in my living room. Maybe some sunshine will warm me up. I wrapped my blanket around me and circled the maze of boxes before shuffling toward the kitchen. It was neat and tidy as ever, with its faded yellow wallpaper. Grandma Grace had always loved wildflowers, and I smiled as I gazed at the collection of daisy canisters lining the wall next to the sink. Mom had been a terrible cook, so grandma had taken it upon herself to teach me. Baking was my favorite, and we’d spent countless nights in this kitchen with my apron covered in flour. Grandma had been fine with making a mess—as long as I cleaned it up—and that freedom had led to many honest discussions throughout the years. I opened the front door and was instantly greeted with cool morning air. Eager to see the house in the daylight, I gingerly walked down the steps and onto the sidewalk. Thankfully, Mr. Johnson had hired someone to mow the grass before I arrived, which allowed me to mark one thing off my to-do list. As I gazed up at the house, I could see my list would be long. Growing up, I’d thought my grandmother’s home was the most beautiful in Sycamore Falls. Majestic and blue with its white shutters and wrap-around porch, it was the place I’d always felt the most comfortable and safe. Time hadn’t been kind to the house, and that was my fault. Mr. Johnson had done his best, but a house needs tender loving care, and its last two years without an occupant had been rough on the place. The chipped siding needed a coat of paint, the flowerbeds resembled a jungle, and some of the shingles needed to be replaced, but none of that mattered. I felt a small sense of satisfaction and breathed a sigh of relief. 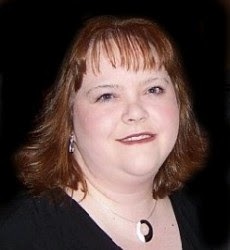 Amazon bestselling author Sydney Logan holds a Master's degree in Elementary Education. She is the author of three novels - Lessons Learned, Mountain Charm, and Soldier On. Sydney has also penned four short stories and is a contributor to Chicken Soup for the Soul. A native of East Tennessee, Sydney enjoys playing piano and relaxing on her porch with her wonderful husband and their very spoiled cat.